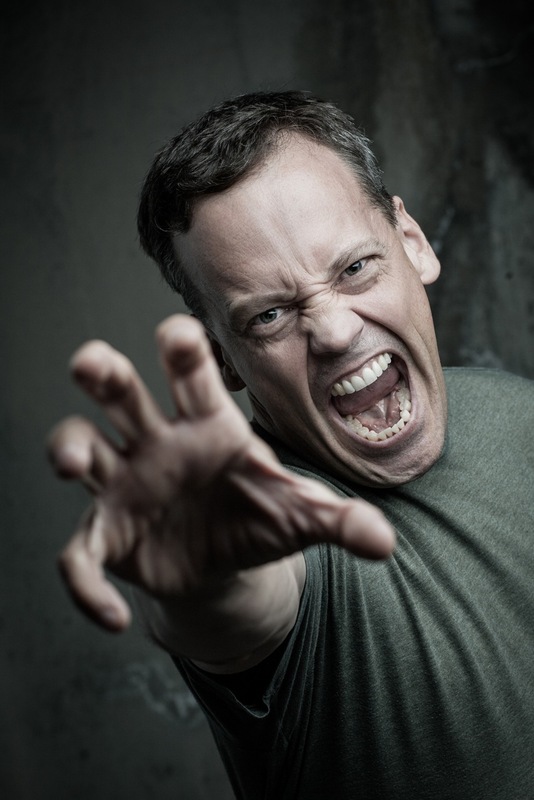 Though you may have never seen Dee Bradley Baker, a 1981 Boettcher Scholar from Greeley, you’ve likely heard his voice. As a voice actor, Dee has brought literally thousands of characters to life, including animals in Disney’s latest The Jungle Book, Perch Perkins in Spongebob Squarepants, Klaus the German fish in American Dad, Fish in the Boxtrolls and even Daffy Duck and Tasmanian Devil in the 1996 movie Space Jam. Photo courtesy of Dee Bradley Baker. Dee’s voice acting career has now spanned three decades, but as a Boettcher Scholar at Colorado College, he never planned on being an actor. In June, Dee visited the Boettcher Foundation office, where he talked about the impact of receiving the Boettcher Scholarship. He also treated the staff to a variety of his most famous character voices and entertaining sound effects. (Check out the video below for Dee’s voice acting tips and creature noises that actually scared our office neighbors). Attending college as a Boettcher Scholar, Dee was able to take classes in a variety of areas and explore all of his passions. His majors reflected his top interests: philosophy, biology and German. Now, he’s able to apply all of those degrees daily in his career. His knowledge of biology gives him insight into how non-humans communicate, and his German shines through in Klaus, a character that was originally intended to be French until Dee auditioned as German. “Happily with a Boettcher scholarship I emerged into the real world debt-free, which allowed me to not freak out, and not enter the world with a sense of fearfulness or dread like many students unfortunately do,” said Dee. “I had no acting goals and didn’t think about it as a career. I just liked it,” said Dee, slipping into his best Beetlejuice voice. A few years later, Dee performed in Disney World Shows, including Beetlejuice, and finally made his way to L.A. to perform in his first show, Legends of the Hidden Temple, an action-adventure game show for children on Nickelodeon. From there, he continued honing his craft, becoming a go-to-guy for character voices in movies, animated shows and even video games. 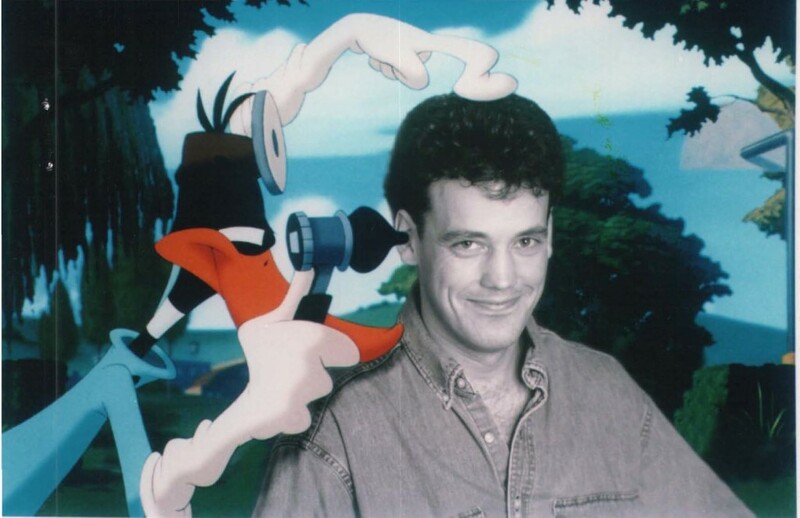 Dee Bradley Baker with Daffy Duck from Space Jam 1997. Courtesy of Dee Bradley Baker. Though he has tried on-screen acting, Dee has always preferred voice-acting, which he thinks is in-part due to his Colorado roots. Dee appreciates the focus on community, quality of life, rationality and sense of health that is present in Colorado. “Plus, it feels like home to me,” said Dee, even though he’s now lived in L.A. for half of his life. While in Colorado, Dee also has the opportunity to spend time with his family and practice his hobbies—insect and flower photography, learning to play bass so that he can combine 70’s funk with the music of Bach and his most recent pursuit of studying American history to better understand the current political climate. “I love taking pictures of bugs and flowers. I am amateur but I love the feeling that I am walking past a poem,” Dee said while buzzing like a bee. During his time in Hollywood, Dee has seen many actors give-in to Hollywood pressures, which is why he operates a free informational website where he shares his experience and tips for young people interested in voice acting. “You don’t solve your life by gaining fame or money. Ultimately it’s what you stand for and how you treat people.” Dee said. And for Boettcher Scholars, his advice is to take risks and to trust yourself.